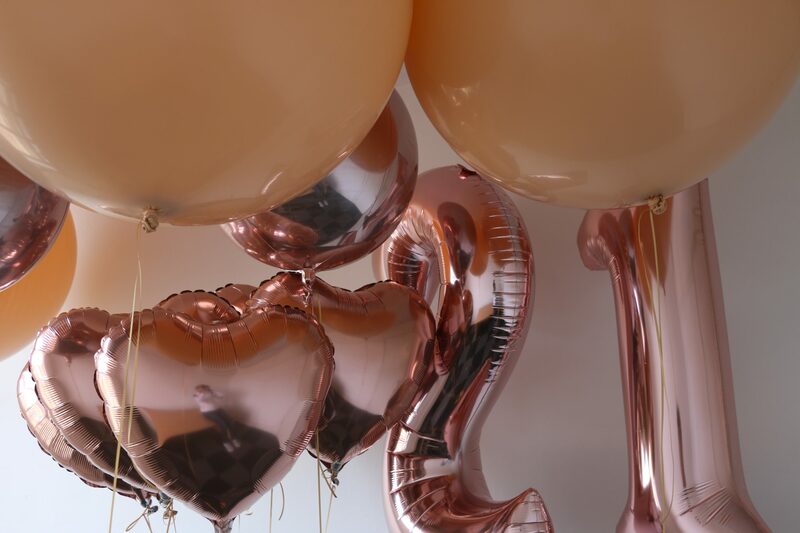 Fortunately, the balloon manufacturers, Qualatex, Amscan and so forth have been working really hard to bring to the market a collection of much anticipated, Rose Gold balloons. 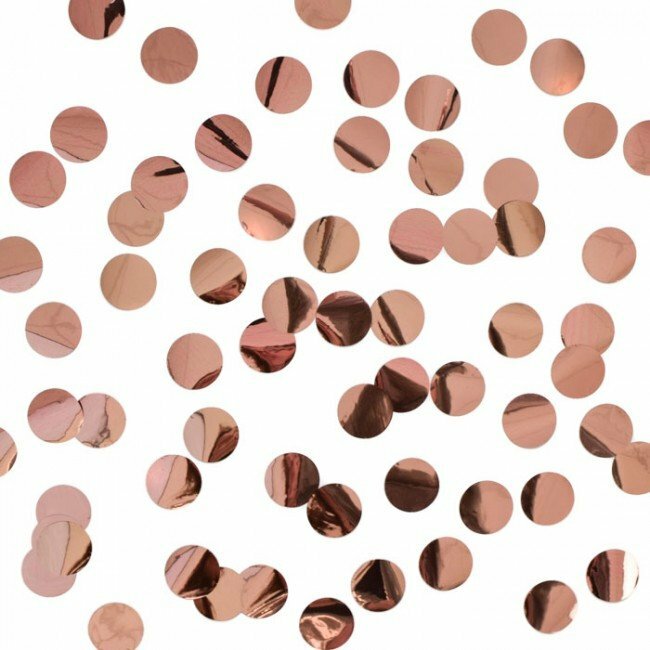 We see Rose Gold everywhere and why not, it is the most beautiful colour. 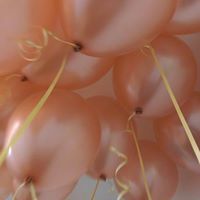 To be able to buy rose gold balloons has been tremendous and for balloon designers such as ourselves, well we just adore working with this colour. Amscan have extended their range of orbz. A 16″ foil sphere to include them in a rose gold colour. We love these because of their shape and the way they fill spaces with tall ceilings. As well as the rose gold orbz, the colours extend to foil numbers, letters, hearts, circles and other shapes too. 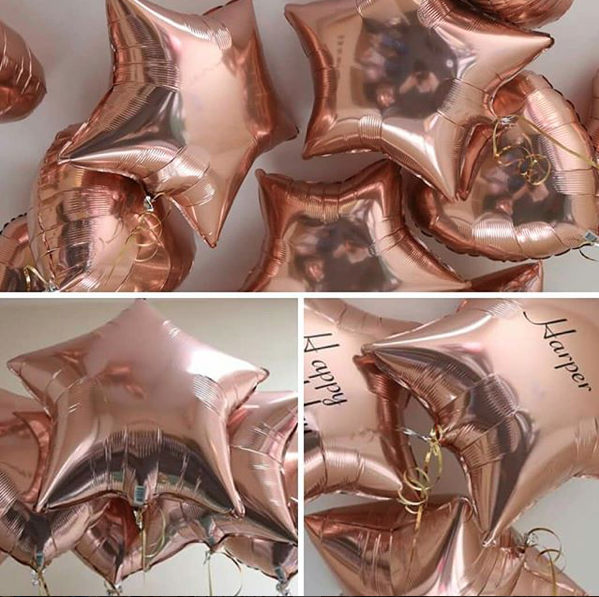 We were really pleased to hear that rose gold balloons now come in latex form. 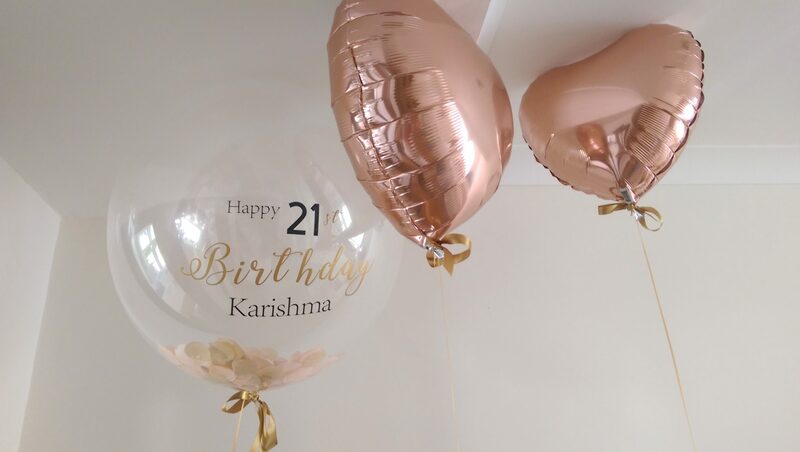 It was a struggle trying to find latex balloons that would match the rose gold foils but in the last few months we were able to get hold of some. When we tried them we just fell in love with them. They were a perfect match. Surprise someone next with a rose gold bouquet.